Samsung Note Edge is finally here! Get your hands on the Samsung Galaxy Note Edge now and experience the mighty power of its SPen and curved edge screen. Today, the Galaxy Note is the poster child in this category where everyone else tries to emulate and perhaps the most iconic in the phablet category. The Samsung Galaxy Edge is one of the most notable due to so many reasons and millions await its announcement and eventual release. For the longest time, Samsung has been keen on using polycarbonate materials on their flagship devices eschewing any form of metallic parts. This year, they introduced a more industrial and modern approach to building the Note 4. With a solid metal alloy frame, the Note 4 becomes a big slab of solid yet elegant handset.My impressions of the Galaxy Note has drastically changed since they were introduced 4 years ago. viewing. No more loss of notification that matters to you. All the notification has been moved to the Edge screen enabling you can always focus on the main content with very minimal interruption.Kick off your day with live information and photos on your own. Decorate with nice pictures from Gallery and other images, stay connected to the topic the most closest to you. No worries in the dark, because of Samsung Note Edge you can still capture the best moments. every moment of your life even in dark surroundings. Make your own notes. Take photos with Photo Note and instantly convert analog to digital. You can edit notes, change colors, and put in additional memos with S Pen easily. Improved touch & feel like a pen. S Pen offers an improved digital handwriting experience through enhanced pressure sensitivity. Enrich your writing through more precise expression. So what are you waiting for? 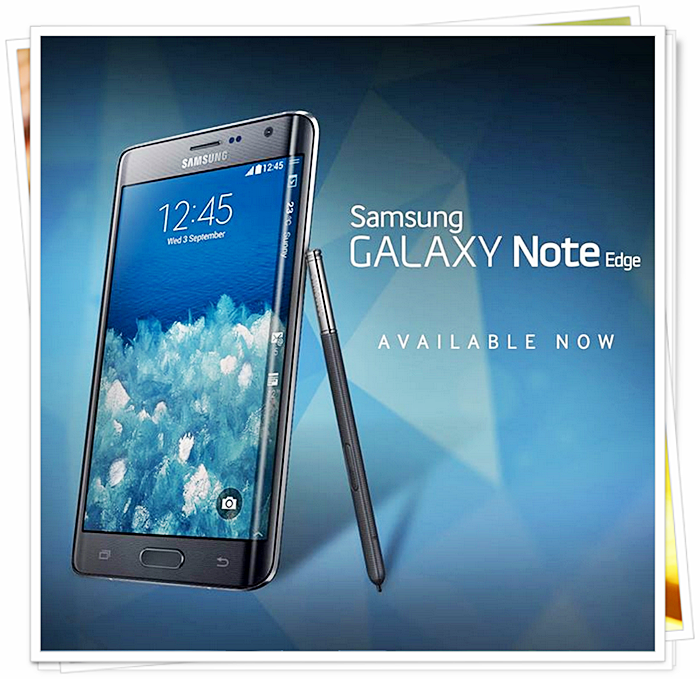 Go grab your very own Note Edge from your nearest Samsung dealer today.